How much time are you spending on social media? Can you tell if it’s helping sales? Wouldn’t it be nice to have a framework for measuring the impact of your social media efforts? That’s where Susan Etlinger’s new research for the Altimeter Group comes into play. Susan did qualitative research with 60 social media marketers and vendors to understand how businesses currently measure their social media performance. Her goal: to develop a framework for tying social media performance to business goals. NOTE: Because Susan’s original research targeted enterprise-level companies, I interviewed her to add some small business insights. The following comments combine results of the research and that interview. Business owners who see great social media success tie their technology choices to their strategic goals. The following graphic shows the importance of a thoughtful process when designing your social media plan. Make sure to start with your business goals when choosing your tools and measures. Etlinger advises all businesses follow this process, but particularly small businesses that have limited resources and less tolerance for missteps. Spend ample time thinking through your vision of success so you can select the right metrics. This means getting specific about your business objectives and strategies before thinking through social objectives. Then you can organize your staff (or your personal time if you’re a solopreneur) around those metrics. Only then are you ready to select the best technologies (including which social platforms and measurement tools to use). Once you’ve established your goals, then you’re ready to consider Altimeter’s Social Media Measurement Compass. 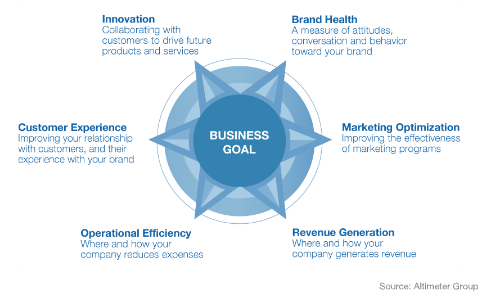 The points of this compass identify six major business goals that social media can help influence. Your challenge: determine your goal and then think deeply about how you will measure whether you’re achieving that goal. These six categories will help you think through the business objectives of your measurements. Do you know how people are talking about your service, your products or customer experience? Big brands spend lots of money managing their brand image, but small businesses also need to be aware of customers’ perceptions. How are people talking about your service, products and selections? Etlinger noted that people have no problem complaining directly to big brands, but might feel more reserved about criticizing a small business owner to his or her face. Social media monitoring can help you hear what people are telling their friends, but might not be willing to tell you directly. Beware that you can never hear the whole social media conversation about your brand. There are at least two reasons: 1) Twitter is capturing such large volumes that you can only hear about 5% of the conversation; 2) Privacy settings on Facebook prohibit non-friends from hearing many conversations. These two factors make it critical to find ways to validate what people are saying. Small business owners may find it challenging to hear critiques, but put on your tough skin and ask some customers (in person and online). 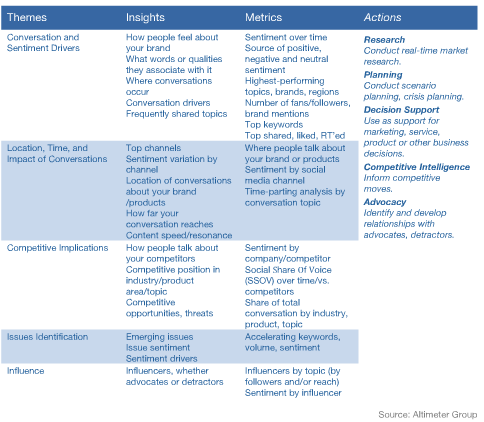 To unveil how social media listening can help you understand your brand health, Etlinger’s research discovered the following themes (in the graphic below) as critical for your social media listening. Allow these questions and thoughts to force you deeper into your measurement practices. Social media listening can help you fine-tune your marketing efforts to better find your target audience. For many businesses, Google Analytics might be the best tool. Your goal is to determine what terms people are searching and from what sites they are coming to your site. Some of the things to optimize are campaigns, content, channels, timing and influencers. It’s important to realize that people share differently on different social channels. While not strictly a social media platform, Yelp provides a good example. People wanting to position themselves as food critics are likely to be far more critical on Yelp than they might be on Twitter or Facebook. This measure may be less relevant if you don’t have an online store; however, all businesses want to know if social media is driving sales. Generally, social media shouldn’t be expected to directly lead to increased sales. Instead, it can generate leads and conversions. If you think about revenue as a relationship and not just a transaction, as suggested by Richard Binhammer of Dell, then you’ll see that social media can have a tremendous influence on the long-term relationship. Some important things to understand are the impact of social media on: 1) purchase behavior, 2) search results and 3) customer loyalty. If you have a physical store, make sure you have tracking systems in place for each channel. You might try campaigns on Facebook, Twitter and Groupon and see what drives repeat business the best. Groupon is likely to attract deal-seekers who might become new customers, whereas your fans on Facebook and Twitter might find themselves more deeply connected after experiencing one of your “Facebook only” deals. Test the hypothesis and run your own numbers. Results will vary widely based on your business type and fan base. Social media can provide opportunities for hard and soft savings to your business. As customers become brand advocates, your brand reach will extend without significant expenses. Additionally, social platforms can become far less expensive places for handling customer service. That depends on whether you have someone who can be dedicated to listening to online conversations in real time. One smart practice is to forge relationships with fans who have strong social media influence. These people can become your advocates and even help with customer service. If they’ve already shown a willingness to speak on your behalf, find ways to feed them information. Etlinger’s research discovered a direct correlation between social media and customer experience that translated into improved brand health, increased revenue and cost savings. An example not cited in the report comes from Kraft Foods. The social media listening team discovered a trend on words like “cut,” “blood” and “salad dressing.” Those aren’t words you want associated with food, so the team dug deeper to discover that customers were cutting themselves when opening a newly designed salad dressing bottle. The problem was easily solved, but wouldn’t have been discovered without social media. The injuries weren’t serious enough to require emergency room treatment. It was merely an inconvenience, so customers didn’t call the 1-800 number. Instead they told their friends on social media and forgot about it. Because you don’t usually buy salad dressing very often, this problem could’ve gone undetected for months. As highlighted by Etlinger, Starbucks and Proctor & Gamble have found ways to crowdsource ideas through their innovative sites MyStarbucksIdeas.com and pgconnect.com. Not everyone can resource their own social media innovation site, but all businesses can find ways to listen to their customers for insights into product and service improvements. For example, Twitter can give you insights into what people want. Follow statements such as, “I like,” “I wish” or “I hate.” If you heard, “I wish Charlie’s hadn’t discontinued the chicken cordon bleu,” you would have some great intelligence. Alternatively, you could even start a conversation on Facebook asking your customers for ideas on new products, services or promotions. Maybe you could even host an “Idea Wednesday” where you spend an hour on your Facebook page looking for creative ideas. Simply Measured has created two tools that work well together. Export.ly helps you analyze your Facebook fan page, Twitter audience and more through downloading customizable Excel spreadsheets. With Export.ly, you can export data from Twitter, Facebook and email into an Excel spreadsheet or CSV file. 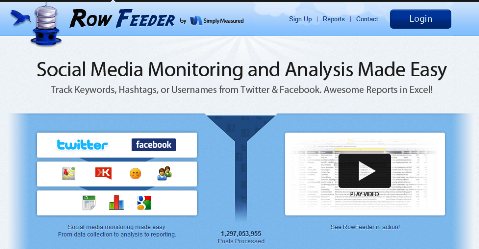 RowFeeder is an inexpensive way to monitor what people are saying about your brand. With RowFeeder, you can track your brand name; Twitter handle; the hashtag for a specific campaign, event or promotion; or general topics of interest. If you want to figure out how often your tweets are being shared and by whom, check out TweetReach. TweetReach analyzes the tweets that match your search. Edelman has developed two tools called TweetLevel and BlogLevel that measure the level of influence, popularity, engagement and trust on your Twitter account and blog. These can be good indicators of the health of your social media efforts. Edelman also provides helpful tips on how to improve in each of these areas. You can use TweetLevel to find "important" people within a specific context and start conversations with them. 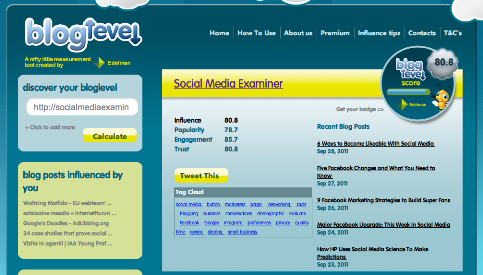 BlogLevel is a purpose-built tool for PR and marketing to help ensure brands use blogs effectively. Susan Etlinger has shared more detailed information about the report in the following webinar created for CoreMetrics. Tie your measurement program to key business objectives. Understand the key terms to follow for your business. Find tools that will give you the results you seek without breaking your budget. Understand that revenue is not a transaction, but a relationship. Treat your customers like people and understand how your online actions are affecting those relationships. Find ways to get your customers involved through customer service, brand advocacy and idea generation. What are your thoughts? How do you measure your social media efforts? How do these ideas help you align your business goals with your social measures? Leave your comments and questions in the box below.